CHICAGO (AP) — The once mighty community activist group ACORN announced Monday it is folding amid falling revenues — six months after video footage emerged showing some of its workers giving tax tips to conservative activists posing as a pimp and prostitute. "It's really declining revenue in the face of a series of attacks from partisan operatives and right-wing activist that have taken away our ability to raise the resources we need," ACORN spokesman Kevin Whelan said. Earlier this month, a U.S. judge reiterated an earlier ruling that the federal law blacklisting ACORN and groups allied with it was unconstitutional because it singled them out. But that didn't mean any money would be automatically be restored. 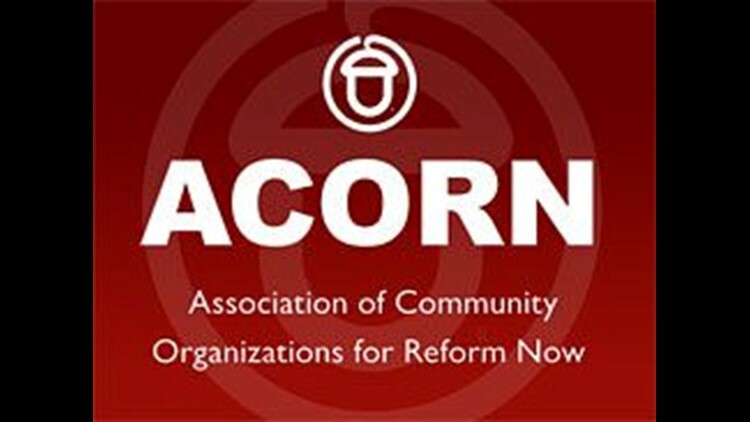 Bertha Lewis, the CEO of ACORN, which stands for the Association of Community Organizations for Reform Now, alluded to financial hardships in a weekend statement as the group's board prepared to deliberate by phone. "ACORN has faced a series of well-orchestrated, relentless, well-funded right wing attacks that are unprecedented since the McCarthy era," she said. "The videos were a manufactured, sensational story that led to rush to judgment and an unconstitutional act by Congress." ACORN's board decided to close remaining state affiliates and field offices by April 1 because of falling revenues, with some national operations will continue operating for at least several weeks before shutting for good, Whelan said Monday. For years, ACORN could draw on 400,000 members to lobby for liberal causes, such as raising the minimum wage or adopting universal health care. ACORN was arguably most successful at registering hundreds of thousands of low-income voters, though that mission was dogged by fraud allegations, including that some workers submitted forms signed by 'Mickey Mouse' or other cartoon characters.